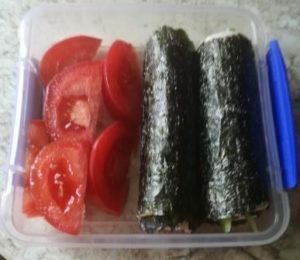 Did you know you can make very easy western style sushi rolls using seaweed sold in almost every bigger supermarket? It’s simple, tasty and you can take them to work with you to have as a low carb snack. 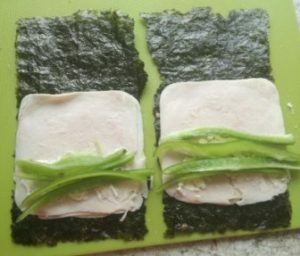 I usually put some ham, sliced cheese, a cheese spread and some lettuce or slices of bell pepper inside and just roll them up. But you can get creative with the fillings, use your favorite spread or veggies. 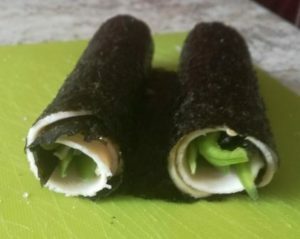 Cut the seaweed into halves and put your filling inside. And pack them into a lunch box.